The Helix in DCU was covered in graffiti on Monday. Tyson Fury has cancelled two gigs in Ireland that were due to take place next week, following "minor criminal damage" to The Helix theatre in Dublin. 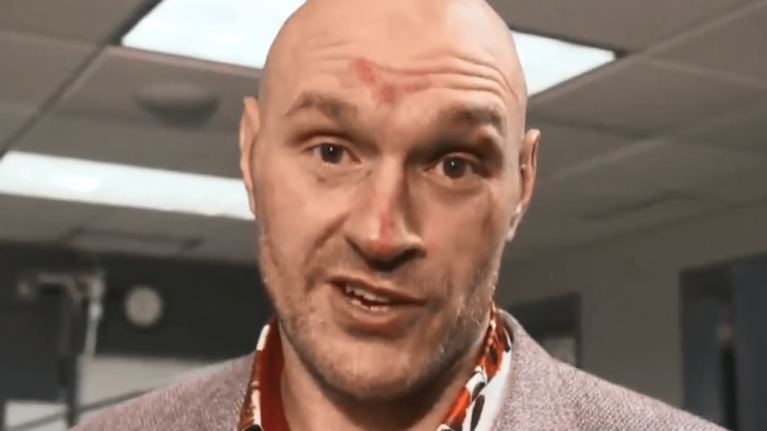 Fury was due to take part in two live concerts, entitled An Evening with Tyson Fury. The venue was spray painted with derogatory messages towards the boxing company MTK Global, as well as towards Tyson Fury himself. Gardaí have said the the incident is the subject of an investigation. MTK Global, who are Fury's management company have only recently ended a boycott of the Irish media, as the company expressed their unhappiness at what they described as "widespread media propaganda." In a statement issued to JOE, a spokesperson for The Helix announced that a mechanism for refunds has been put in place for those who had bought tickets to either of the events, and that further details could be found online. Both venues took to Twitter to announce that the gigs had been cancelled, citing "unforseen circumstances". JOE has reached out to MTK Global for comment.